1. What is the case about? RFC Seraing United (hereinafter Seraing) has, since the adoption of FIFA’s ban on third-party ownership, been at the forefront of a legal crusade against the ban (as I have explained on this blog I personally believe the ban is legitimate and compatible with EU law). The club has fought the ban tooth and nail at the CAS (the award is here) and later at the Swiss Federal Tribunal (the translation of the ruling is available here), in both instances unsuccessfully. It is now challenging before the Belgian courts the sanctions that were imposed by FIFA, confirmed by the CAS award, and enforced by the URSBFA. For this protracted and expensive legal campaign, RFC Seraing enjoys the backing of Doyen, the infamous investment firm at the centre of the football leaks scandal. The 29th August decision is the last episode in this saga and the first that has been widely portrayed as a big win for RFC Seraing. 2. What are the findings of the decision? So, why is it widely reported as a win for Seraing? This is because the Court of Appeal considered itself competent to hear the case and disregarded the objections (in particular the claim that a valid CAS arbitration clause existed) raised by FIFA, UEFA and the URSBFA regarding its jurisdiction. However, the Court also refused to send a request for a preliminary ruling to the Court of Justice of the European Union, a long-standing demand of Seraing’s lawyers. 3. 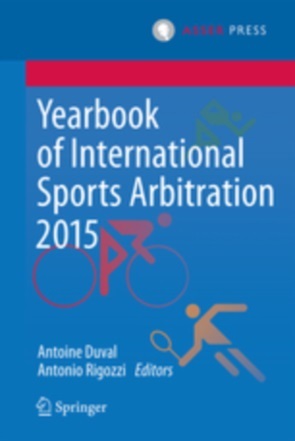 Why did the Belgium court find that the CAS arbitration clause invoked by FIFA & Co is invalid? The core of the reasoning (found at §13 to §15 of the decision) on the validity of the CAS arbitration clause included in FIFA’s statutes turns on whether it aims at a « defined legal relationship », a prerequisite for the validity of arbitration clauses under Belgium law and the New York Convention. In laymen terms: if the clause is too general and does not provide a clear definition of the scope of disputes it covers, then it is invalid. Unlike reported in many outlets, the focus is not directly on the free consent to CAS arbitration, and the Court of Appeal does not declare the clause contrary to EU law or the ECHR on this basis, but on the vague nature of the CAS arbitration clause enshrined in the FIFA Statutes and its incompatibility with Belgian law. In the case of Seraing, the clause invoked by FIFA was by reference, meaning that the reference of Seraing’s statutes to its compliance with the statutes of FIFA (at the time of initiating the proceedings the 2015 FIFA Statutes), which include an arbitration clause, was supposed to constitute a valid agreement to arbitrate the present dispute. Yet, as the Court of Appeal points out, the FIFA statutes are rather vague with regard to the nature of the disputes that are to be arbitrated. In fact, article 66.1 FIFA Statutes (2015 edition) provides simply that « FIFA recognises the independent Court of Arbitration for Sport (CAS) with headquarters in Lausanne (Switzerland) to resolve disputes between FIFA, Members, Confederations, Leagues, Clubs, Players, Officials, intermediaries and licensed match agents ». Moreover, the Court of Appeal also refers to article 59.1 and 2 FIFA Statutes (presumably this time 2018 edition) that does not allow recourse to national courts unless provided by FIFA rules. It concludes that based on these provisions, « the submission to arbitration is provided in general for all disputes between certain parties, including FIFA, UEFA, URBSFA and football clubs (including RFC Seraing), but without any precisions or indications with regard to the legal relationship affected ». Hence, « the intention of the drafters of this clause is clearly to capture all types of disputes between the designated parties, turning it into a general clause, which cannot be found applicable as it does not constitute an arbitration clause recognised under Belgian law ». FIFA submitted that the type of disputes governed by the arbitration clause were necessarily limited to the social objective of FIFA and that the CAS’s competence was limited to « sporting » disputes. But the Court of Appeal countered that the former limit remains too vague to find that the clause targets a « defined legal relationship ». It further deemed that the restriction to « sporting » disputes was not included in the clause and that the CAS could independently decide to amend the scope of the disputes that fall under its competences. It also rejected the view of the URBFSA that the clause was limited to disputes concerning « the statutes, regulations, directives and decisions of the URBFSA, FIFA and UEFA ». And, it refused to consider that the article 38.2. of Seraing’s statutes, providing that « [E]very arbitral dispute with a foreign dimension, susceptible of being subjected to the international bodies of FIFA and concerning the statutes, regulations, directives of FIFA, will be submitted to its internal arbitral bodies », constitutes a valid CAS arbitration clause as it refers to FIFA’s internal arbitral bodies (even though no such arbitral bodies exist in practice). A flurry of other less convincing arguments raised by the defendants were also dismissed by the Court, which came to the conclusion that the clause invoked did not aim at a defined legal relationship and could therefore not be considered an arbitration clause in the sense of articles 1681 and 1682, §1 of the Judicial Code. 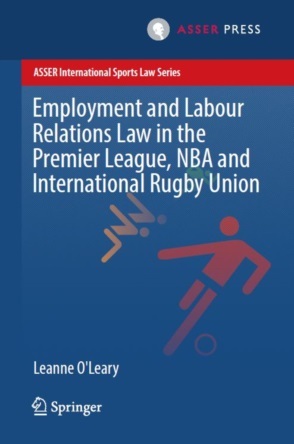 There is, however, no indication that the Court of Appeal fundamentally objects to FIFA, UEFA or the URSBFA imposing that certain disputes be dealt with by the CAS. Crucially, the emphasis is on certain: what the Belgian court criticized is the general all-inclusive wording of the current FIFA Statutes. 4. What are the immediate consequences of this invalidity for FIFA and the CAS? For Seraing, the consequences are vital, any other finding would have put an abrupt end to its case before the Belgian court. Now, it will have the right to argue its case in front of the Court of Appeal in October, and this is a victory in itself. Yet, beyond Seraing, the systemic effects are in my view far less far-reaching than highlighted in the media. FIFA was never immune from challenges by clubs (and other football stakeholders). It was, for example, repeatedly attacked in front of the European Commission on competition law grounds. Moreover, clubs, such as the SV Wilhelmshaven, were already challenging the implementation of CAS awards confirming FIFA sanctions in national courts. In this regard, there is nothing new under the sun. Finally, the Court of Appeal has not excluded that it would accept a reformulated CAS arbitration clause with a better-defined scope (such as one that would narrow it down only to disputes arising out of the regulations and decisions of FIFA). In practice, not much should change with the Seraing ruling. FIFA will continue to hand out its decisions sanctioning clubs circumventing its rules. The Swiss courts, which are under the Lugano Convention primarily competent to hear challenges to the decisions of a Swiss association, will continue to enforce the CAS arbitration clauses by reference as they have always done, and clubs will, therefore, continue to have to go through CAS arbitration (or they will have to wait to be sanctioned by their national associations to initiate proceedings in front of national courts). Furthermore, from a strategic point of view, few clubs (unless they are desperate like SV Wilhelmshaven and/or backed by an external funder such as Seraing) will be interested in starting a multi-year litigation odyssey in national courts to challenge FIFA (or any other sports governing body, SGB). The same is true for athletes (let’s remind that Claudia Pechstein is bankrupt and still far from having won her case). Doing otherwise would mean being ostracized from professional football for many years, something very few clubs (and athletes) can afford. Thus, while the Seraing judgment confirms that going to national courts is an option that is available to clubs challenging FIFA, it does not affect the general governance context of global football (and sports in general) that remains extremely unfavorable to litigation in national courts. Challenging FIFA in national courts was never out of question, it was (and remains) just very costly and very unlikely to succeed, and Seraing has changed this state of affairs only at the margin. 5. Why do I think Pechstein is more important than Seraing?